Just when I’m about to give Time Warner Cable the boot, I find something like American Blackout—and we’re stuck with 900 channels of cable again! Sounds drastic, but a one hour special like this can make an immeasurable impact. From what I can tell through show’s website, you don’t want to miss it. It details the possible outcome of a nationwide, 10 day blackout, and its impact on everyday Americans. The timing of American Blackout coincides with the impending launch of my research based, disaster epic, The Perseid Collapse. You’ll find some frightening similarities between the two stories, except in my novel, nobody gets to flip the lights back on in 10 days. The “mass event” in The Perseid Collaspe is more of a permanent blackout. 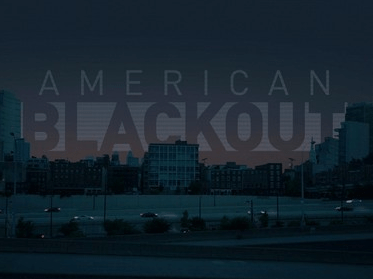 Check out National Geographic’s interactive timeline at Survive the Blackout. They take you day by day through the scenario, as the situation deteriorates. I guarantee you’ll learn something that could save your life on the ten pages of this timeline. I’ve been writing research based fiction about realistic disaster scenarios for years, and I took away some simple, “no kidding,” easy to implement tips that could help in any disaster situation. It’s well worth a look. A blackout isn’t the only disaster scenario discussed on the National Geographic website. I found the killer asteroid scenario interesting. I wonder what would happen if both occurred simultaneously? The Perseid Collaspe.